Team17 provided an update today on the sandbox RPG My Time at Portia. The game is now confirmed for release on Switch this spring, complete with a physical version. Sold Out will be distributing it at retail. The latest news was accompanied by a new trailer for My Time at Portia. We have the video below, along with an official overview. Arriving in the enchanting town of Portia, you’ll be able to start a new life and set to work restoring your Pa’s neglected workshop to its former glory. Armed with your Pa’s workshop handbook and workbench, you must gather, mine and craft your way to being crowned the number one workshop in the whole of Portia! 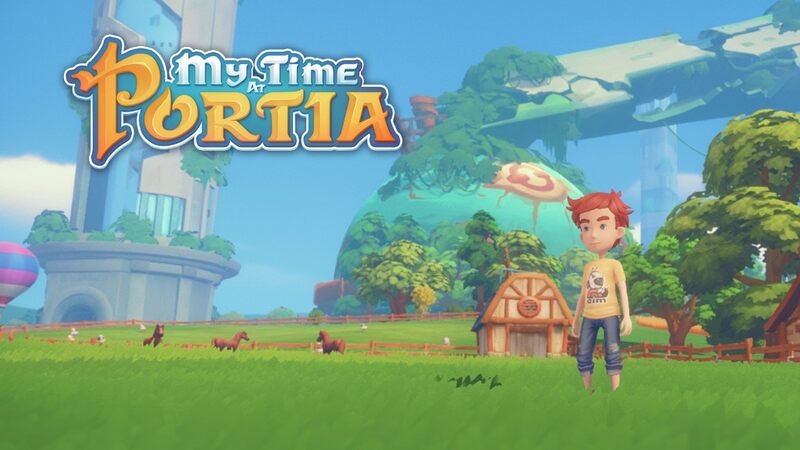 Besides crafting and building there’s plenty more to do and discover in Portia including growing crops, raising animals, befriending the towns quirky inhabitants and uncovering the mysteries this charming post-apocalyptic land has forgotten. Inspired by the likes of Animal Crossing, Harvest Moon, Dark Cloud 2, and the magic of Studio Ghibli, My Time at Portia whisks you away to a captivating world of wonder that you won’t forget. How will you spend your time at Portia?